This pack can handle anything nature can throw at it. 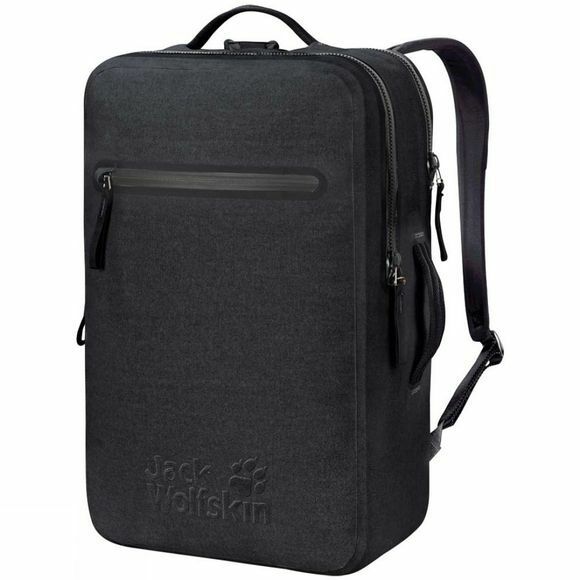 Whether it's monsoon rains, desert sand storm or just another wet day in the urban jungle, the Boxcar 30 Rucksack from Jack Wolfskin provides 100% protection against the elements. 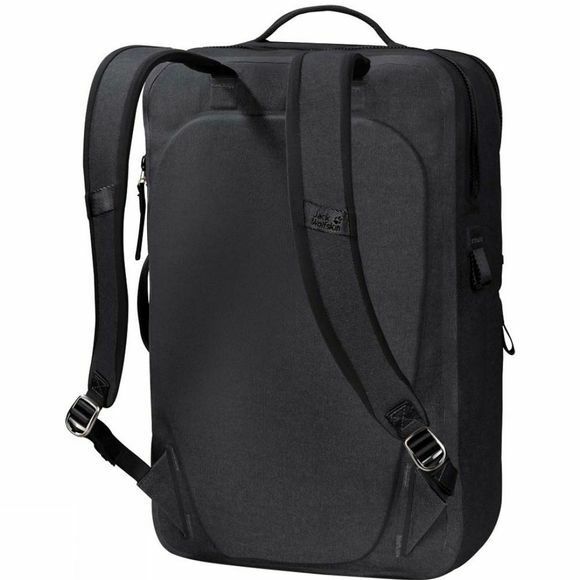 With its stylish rectangular design this is also a great pack for the city. It is designed for people who require their kit to meet the most exacting standards. It is made of a special cotton laminate that's not only extremely robust but totally waterproof and dustproof as well. So the contents are better protected than they would be with a standard backpack rain cover. The special zips on the two main compartments are a key feature of this day pack. They are YKK Aquaseal zips, and they're so waterproof that you can submerge it entirely without any water ingress. The fabric is welded, not stitched, so there are no seams. This means there's no chance of moisture or dust ingress–a handy attribute if you're planning on doing the Paris-Dakar rally or racing across town in the pouring rain from one meeting to the next. The zip toggles are equipped with finger loops to make them easier to operate. There are two main compartments, one large and one small, for your everyday or travel essentials. The smaller one includes a padded tablet pouch.